Sanasar: A new respite from your otherwise boring life! A couple of decades ago, the scenic ‘Sanasar’ was unknown and unexplored. But with the advancement of technology and government’s encouragement, ‘Sanasar’ was brought to the light and exposed to the world. 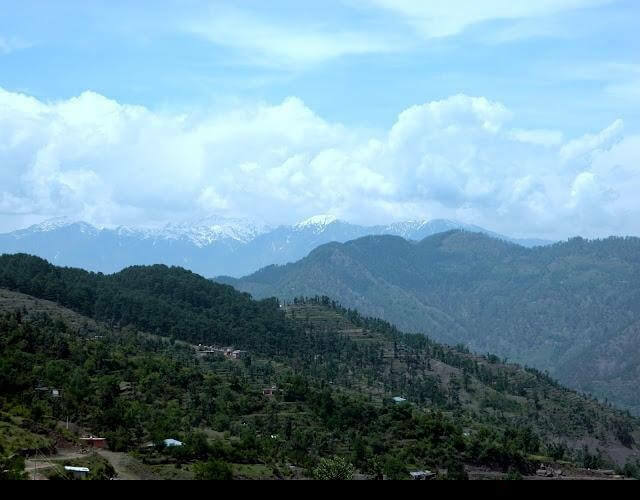 Two small villages of Jammu & Kashmir – Sana and Sar are compositely known as ‘Sanasar’. 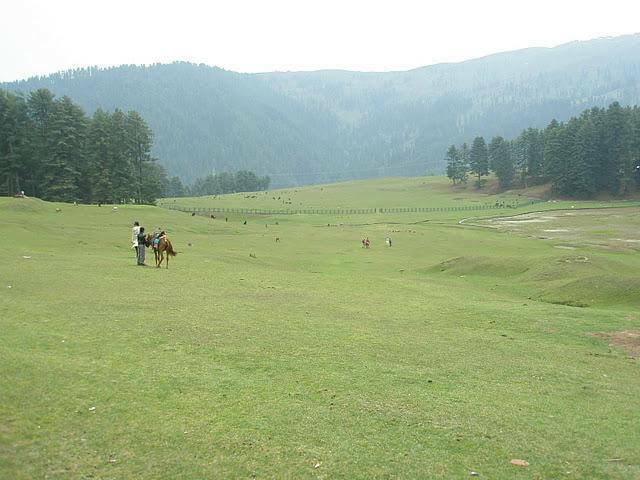 It is located 119 km from Jammu and 17 km from Patnitop on the national highway 1A. Sanasar is heavily surrounded by conifers which we are used to watching in movies generally. The mountainous terrain of Sanasar is carpeted with a lush green mantel that is interspersed with beautiful wild flowers creating a view that would indeed cause any nature lover to linger at that place for quite some time! The weather is chilling but not killing! One needs to put on thick and warm woolens in order to protect oneself from the cold in winters. But summers bring ample relief when wearing mere cotton clothing will do. Rains can pour in anytime and bring cool breeze along with them. 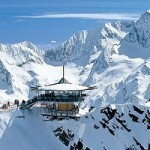 The most ideal time to visit this place will be in the month of May-June or September-October. Tourists are given a warm welcome and treated with compassion in whichever lodge they go for. Bungalows and houses are well equipped with modern amenities. Good quality food and hot water supplies are available 24 X 7. The cuisines have a unique appeal; especially the rice and bread items are not to be seen anywhere else. The tastes of few traditional dishes have been redefined while still retaining the original flavors. Lot of provisions are made for security, no one can access the premises of these hotels with proper authorization. In few houses, males and females reside in separate rooms unless they are married or belong to the same family. Medical facilities are always at the doorstep of the bungalows and all means of communication are within the reach of the tourists. These residential houses may be controlled by the J & K Tourism Department. There are ample such options to choose from, which will inject levity into your grim life. Especially Adventure and Sports go hand in hand in this mighty place. You name it and you have it- Paragliding, Golf, Rock climbing, Trekking, Abseiling, Adventure Camps etc. Absolute care has been taken in developing the meadow so that it serves as a perfect ground for the golf players. Trekking and Rock climbing are unforgettable experiences amidst the conifers. Abseiling is absolutely thrilling when you are released from a higher point against a near-vertical surface or rock’s face, with the help of a rope coiled around your body. A special Wilderness Adventure Camp is hosted collaboratively by “Extreme Himalayan Adventures” and J & K Tourism Department for over 100 participants in a single session. 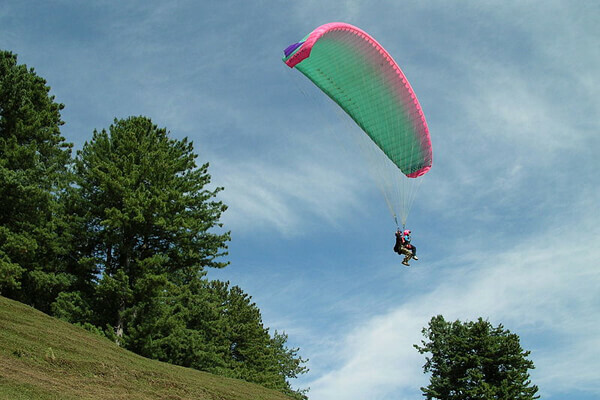 Paragliding is the king of joyous sports. One can choose to take off from 150-200 feet (short flight) or 1500-2000 feet (high flight). The short flight lasts for over a minute and high flight for over ten minutes and in either case security is never compromised. 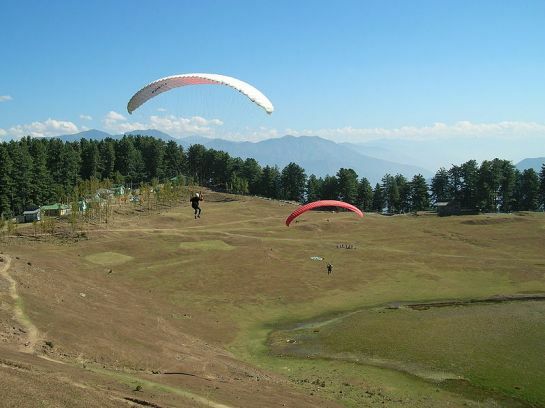 Another attractive feature of paragliding in Sanasar is the presence of a pilot with the passenger for a better guidance. This is also known as Tandem paragliding. For the movie buffs, Cineplex’s are built at short distances and provide complete entertainment. Golf course, Trekking, parasailing, paragliding, Hot Air Ballooning and Parasailing, horse riding, Natural beauty, Nag Temple, the Hidden Creek and the Waterfalls, lush green meadow. 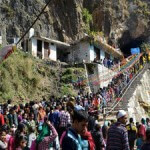 Worship the Almighty Shiva in the mighty Shank Pal Temple, which is at a 4-5 hours trekking distance from Sanasar while being at an altitude of 2800 meters. The temple was built over 400 years ago and consists of piled stones only. Further at a distance of 2 km, lies a small pond called as Surni Kund on the Shank Pal Ridge, the ridge is named after the lord Nag Shank Pal. Panchari Valley is also in the vicinity which can be reached by traversing through Shanta ridge. A high peak small mountain range called as Madha Top is also located at a distance of few km from Sanasar. From here people can walk in lush green forest landscape, addressed famously as Ladoo Ladi. Best Time to Visit: May to June or from September to October. By Rail: Well connect with Jammu (119km.) on Jammu-Kashmir highway 1A. You can hire a cab from Jammu. Trains from different locations arrive directly at Jammu station or Jammu Tawi. People can board taxi from the station which will directly take them to their destination Sanasar. The journey will be quite enjoyable with a superb weather accompanying the travelers. Within a day, the nook and corners of the area can be covered easily. Guarantee yourself and your family with a safe and reasonable vacation by landing up at Sanasar.